And so the L.M. Montgomery and Reading has come to an end. The last summary of the day is provided by one of our members of the Social Media Team, Brenton Dickieson. I am full. And no doubt. We have just finished a packed four and a half days of conferencing and workshopping, speaking and listening, flipping pages, wandering halls, and exploring the shared imaginative space that L.M. Montgomery has donated to us. The very first lecture by Elizabeth Epperly—the “Betsy Talk”—sent me reeling. And in a way, I haven’t recovered. 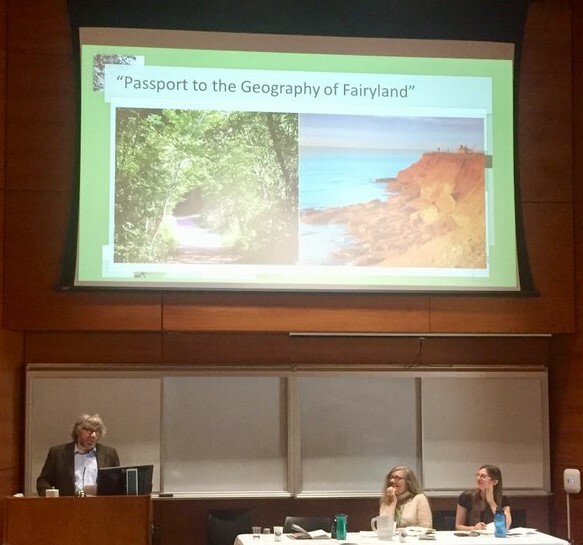 Not because Prof. Epperly’s talk dominated my mind to the exception of all else, but because talk after talk, paper after paper, experience after experience, I have been challenged, drawn in, lifted up, and invited along by other readers of L.M. Montgomery. And so, the adventure continued on the last morning of the conference. 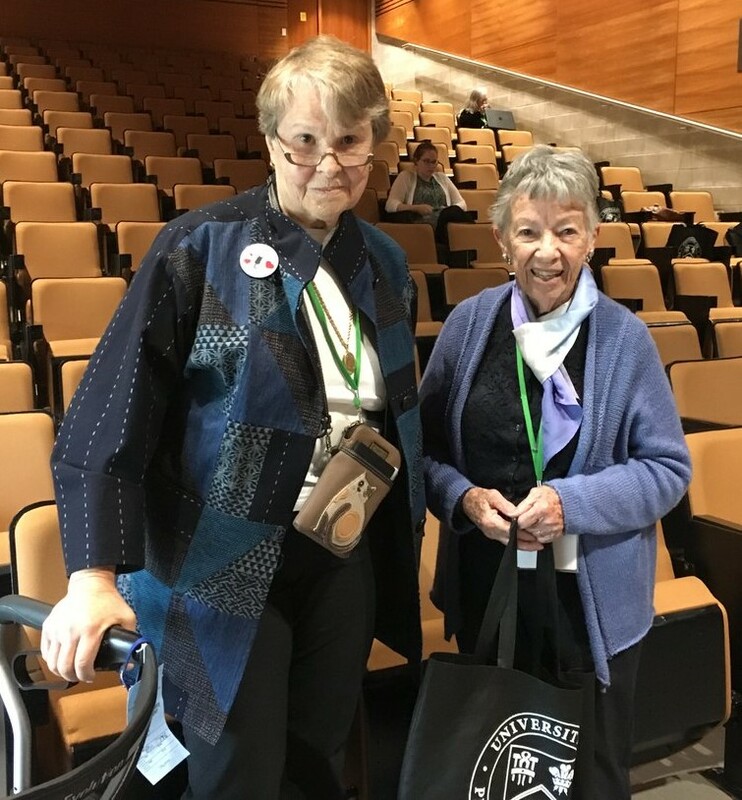 Catherine Ross, professor emerita at Western University, brought us a delightful and informative lecture, “L.M. Montgomery and the Paradox of the Reading Experience.” Using qualitative interviews of “good readers,” Dr. Ross pressed in on the themes that came from readers who have brought Montgomery into their lives. The relationships between reader and book are intimate, profound, and smack of something like serendipity (Montgomery might have called in “predestination”). We moved from the keynote to the final plenary panel of the conference. Emily Katharina Mohabir turned to fanfiction and other digital responses to Anne. 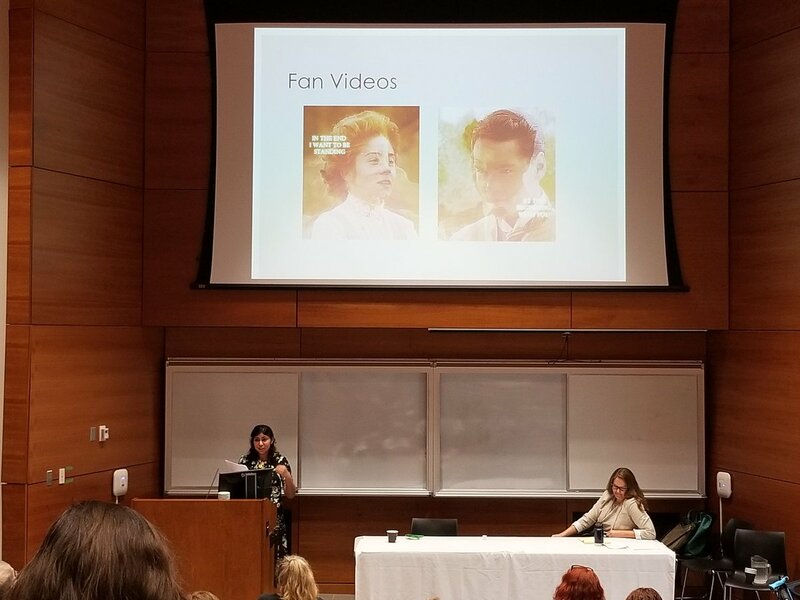 I am a hard win to fanfic, but my students consistently challenge me with engaging ideas from that world, so Mohabir’s paper, “Re(ad)-writing Anne: Participatory Internet Fan Activities as Textual Negotiation,” was informative for me. I think it makes a good dialogue with Bonnie Tulloch’s day three paper, “Canadian ‘Anne-girl[s]’: Literary Descendants of Montgomery’s Redheaded Heroine.” Tulloch is a PhD researcher who, like Mohabir, knows digital reading worlds—though her paper was focussed on books with Anne-like characters. The strength of Tulloch’s emerging scholarship was confirmed when she won the inaugural L.M. Montgomery Institute Award for Outstanding Early Career Paper—an award justly named for Prof. Epperly. I think Rilla of Ingleside to be one of Montgomery’s most important works, so I listened eagerly to Daniela Janes’ paper, “‘A Course of Reading’: Reading and Self-Cultivation in Rilla of Ingleside.” James highlighted the formative effects of reading in Rilla, placed within an emerging attention to folklore and homefront experiences in WWI. The Ingleside women experience the war vicariously through reading, for war can be felt as real through the reading of it. Finally, Trinna S. Frever joined us by video, offering a clever and lively paper called, “Seeing Female Readers: Montgomery as Depictor and Creator of Scholars.” Her work on reading, meta-reading, meta-meta-reading, and myth was complex and literary. Intriguingly, Frever was the only presenter who wasn’t physically here and yet had the paper with the most audience participation. Her final challenge—to write Montgomery back—is still reverberating in the room. My mind is full. I know that Lucy Maud Montgomery is set aside critically because she is just a juvenile writer, just another genre fiction hack who understood what girls wanted to read. If I needed confirmation that this approach to Montgomery’s work was balderdash (and I didn’t), the academic work at the LMMI conference will dispel high-brow critics of their fiction. Each of the keynote addresses set my mind on the road. My journal is filled with arrows and stars and heavy underlining, moments of inspiration for my own work and a huge list of things I need to do when I get home. Invariably, the scholarly papers also teased something out for me, sometimes filling in backgrounds I was missing, sometimes challenging my assumptions. I am intellectually tired and will need the rest period after the conference to bring all these thoughts into full consideration. And many of those senior scholars were with us this week, investing themselves in challenging and mentoring emerging scholarship. Much of the banquet—a feast that left me full in another way! 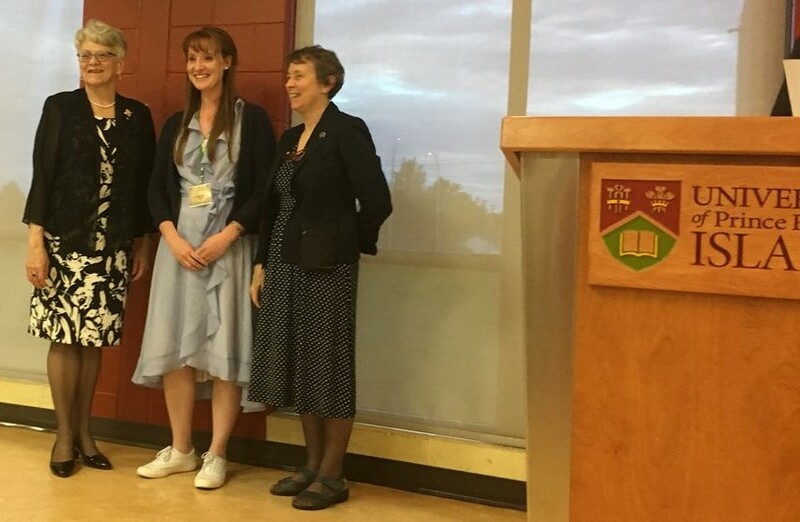 —was dedicated to celebrating our leading lights: Elizabeth Waterston, Mary Rubio, and Betsy Epperly, as well as the Macneill family who restored Montgomery’s childhood home and the Lucy Maud Montgomery Birthplace Trust. I used the word “donation” above to describe Montgomery’s work. I mean this word in the slightly older sense, the royal sense. Milton speaks in Paradise Lostof “That right we hold / By his donation” (Book XII, lines 68-69). Here Milton is speaking of how God has made all creation for the caretaking of humanity. This world we live in is Milton’s God’s donation to humanity; Montgomery’s fictional worlds are her subcreative gift to us. I think the L.M. Montgomery Institute Conference is an ideal place to enhance the caretaking of Montgomery’s worlds.